Odric Misink, nicknamed The Clumsy, he specialised in magic objects but isn’t a very talented mage. Most of the time, these creations prove to be unnecessary. 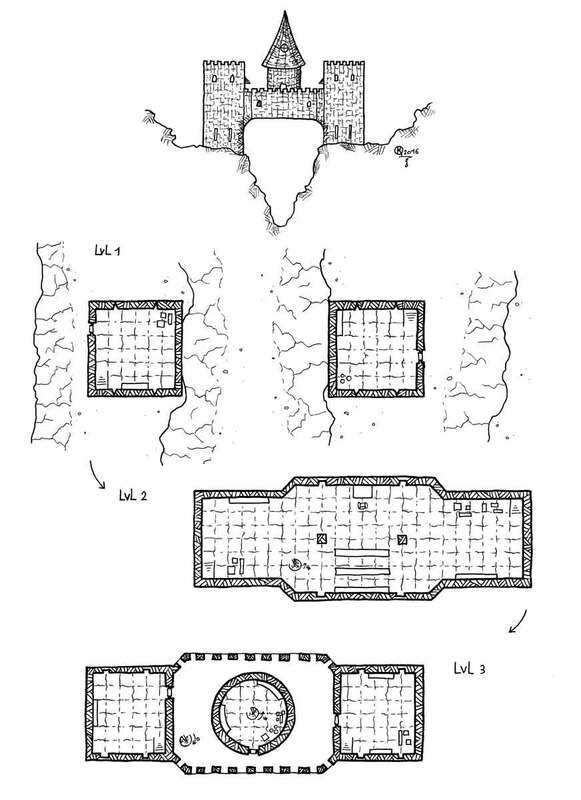 He often had crazy ideas, and, best known of these is with no doubt the Chameleon Tower. Odric wanted to build a house that reflected his extravagance and ingenuity. He built a tower on top of a ravine between two steep hills. He cast a powerful spell of concealment over his house which alters the color of the exterior walls depending on the color of the environment. The Chameleon Tower is perfectly integrated into the landscape, and it’s invisible to those who don’t practice magic. Odric, no longer fearing to be disturbed, took advantage of the quiet to let his imagination soar. He created many magic items. A self-drying cape that transmits electric shocks when used in the rain, A ring of invisibility that not only remains visible, but produces an intense bluish light, or the stone of Ay’C’Cho, used to produce a small flame, but unfortunately it never did ! So it remains in the fireplace. These are just some of many failed objects resting in the tower. Over time, Odric felt a little lonely, and he liked to go down to the Loaded Dog tavern in the great city of Xeraista to have a good time. Sometimes, when he returned too drunk, his sense of magic was so askew that he couldn’t find the tower, and was forced to sleep outside. Annoyed by this situation, he decided to create a pair of teleportation chairs to travel between the tavern and his home. Proud of his enchantment, Odric wanted to test it immediately. An error had occurred when he sat down on the departure chair, he suddenly disappeared without reappearing. In reality, he was reduced to an energy state, because the two chairs were too close to one another the enchantment could not find a path to the destination chair. With a lot of concentration and energy, Odric manages to reappear to the eyes of the living for a short time. But unfortunately, people see him as a spectral shade! Since this day, he’s stuck in this state, and he’s unable to tell anyone to remove one of the two chairs to let him materialize.